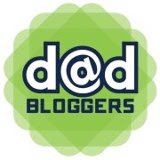 Lego Friends | Daddy's in Charge? Oh no, my favorite toys are under attack. Every now and then companies come out with some stupid marketing campaign, and parents get outraged. Walking through Target today I got my first glimpse of the Lego Friends sets, and I have to say, they didn't really faze me. I can see that some would get upset about a previously gender neutral toy now trying to target young girls. Blah, blah, blah. Who cares? Here is an idea for all the parents that are upset; DON'T BUY THE STUPID TOY! See it for what it is, a cute little building set, and move on. If you and your legion of upset moms ALL do that Lego will take them off the shelves. If something doesn't sell, they are gone. If not, expect to see these building sets on toy store shelves for years to come. Like the countless other sets that are now discontinued, Lego will have no choice but to replace the Lego Friends series with something else, perhaps Prince of Persia 2. The first series sucked and they are now off the shelves. See how that works? The only one we ever bought, my son insisted he needed to have a lego ostrich, who was I to deny his wish. As far as the new sets are concerned, I won't buy them. My kids are obsessed with Ninjago right now and I certainly don't expect them to want a Butterfly Beauty shop or Mia's Puppy House. I will say that the City Park Cafe is pretty cool and I would have a field day making movies with that. See my lego character can play with girl toys. If you have an issue with Lego there are two things to argue. First they are ridiculously expensive; I have spent thousands of dollars on these toys and could probably spend thousands more. 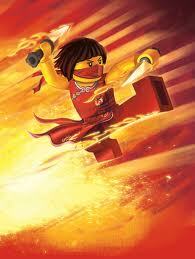 Second, this new Ninjago show is nothing more than a glorified Lego commercial. Lego knows this, they can dream up a new show, package it off as a weekly series and make countless lego sets to support the show. I think we already own every Ninjago set, AND THE SERIES HASN'T EVEN STARTED YET. I can't fathom what might happen when the kids get more into it. There is something here with the Ninjago show though that I hope Lego is not overlooking. They keep advertising that there will be this GREEN NINJA, that is more powerful than all the others. I won't get into the premise of the show here as I will just assume everyone knows what it's about. I hear all this talk that the Green Ninja will be Lloyd Garmedon. I won't be convinced until I actually see how the show plays out. I know that it won't be Kai, Jay, Cole or Zane. They just seem like they are too bumbling to ever take the leap and become the most powerful ninja. I don't think they have the ability to use their powers to their full potential. There is someone though who I think has that ability, Kai's sister Nya. She seems to be tough minded and willing to learn. She wants to be a ninja, why not the Green one? Now how awesome would that be if the most powerful ninja, WAS A GIRL. Would there be outrage at this? Rioting in the streets by thousands of little boys? I know my boys would embrace her as they have Hermione, Princess Leia, Elizabeth Swann and the countless other female legos that have been marketed to ALL kids. Why does it really matter how companies market their toys? Last I knew, kids couldn't drive themselves to the store to buy things. It took a parent to actually pay for it. If your kid wants to have the new sets, are you going to deny them that? If a kid wants ANY lego set what is the problem, let your kid decide what they like. If you don't like how it's marketed, please don't buy it. I know that there will be those that say I am missing the point on this, maybe I am. I just don't see what the point is you are trying to make. It's Lego Friends, not a Lego Devil series. It's not just Legos though, its every toy. Parents don't like the marketing or the message, just don't buy them. Seriously don't waste your time. You hit the nail on the head. The bottom line is the bottom line. Our dollars are votes in our economy. If it doesn't sell; it doesn't survive. Don't like it; don't buy it. I know it's more than just the bottom line, parents are outraged over the stereotyping of certain toys. Is it really SO wrong? I agree! If you don't like the toy, don't buy the toy. It's not like it's being forced down your throat and will change lives. Totally, I just don't see what these petitioners want. There are sets with women in them... main characters even! How do you change the marketing strategy? It's the same way with dads... EVERYTHING is marketed toward women... If they marketed MAN PURSES would we really be upset by this? That's great! What a awesome job. I just wish people would past the marketing issues and focus on that, the time spent with your kid. Don't get my wife started in her new clothes, I'll never get her out of the mall. I am a stay at home dad, so trust me I get upset at marketers all the time. Try finding a man raising kids anywhere on TV and have him not be an overwhelmed bumbling fool. I can still make informed decisions though. So these toys are marketed to girls, it doesn't mean that they are destined for a life of purple and pink. The fact that EVERYTHING has to be gender neutral nowadays is just annoying. We have been this way as a society since the dawn of time and yet the world continues to spin. I guess it's a good thing to bring up with our kids, while we are playing with them and THEIR toys. People would rather be outraged instead of smart. My own in-laws were upset about a show they don't watch and never will, BUT they were talking about it. If I don't like something, save for family members, I'm not going to talk about it, I'll just get what I like. It can't be that hard. Love this. And I think you are on to something with the green ninja.